One of my favorite parts of gift giving is wrapping the present. 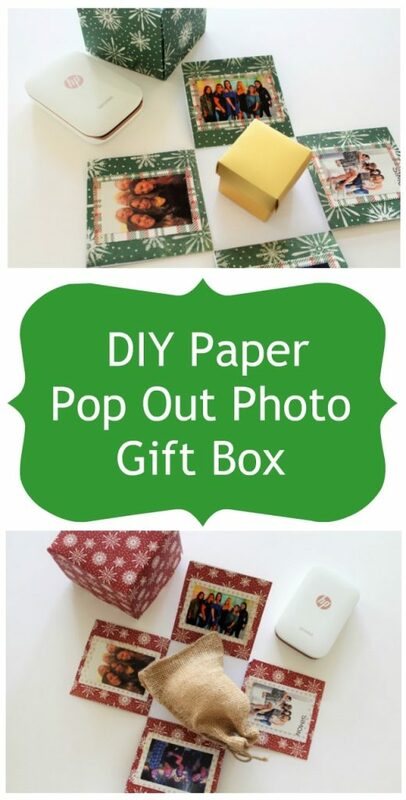 This month at MyPrintly I shared how to make this fun pop out photo gift box using just three pieces of scrapbook paper and your HP Sprocket photos. It’s great for any holiday or celebration; just change the color and pattern of paper. It only takes about 20- 30 minutes to make. You will also need a few other things like photos, a cutting mat, and utility knife. Hope on over to MyPrintly to get the full step by step instructions where I break down how to make the bottom and lid. You can also watch this short video I made. Place the gift in the center of the box bottom. If it is small, you can tape it down at the bottom so that it stays centered. Place the lid on top. 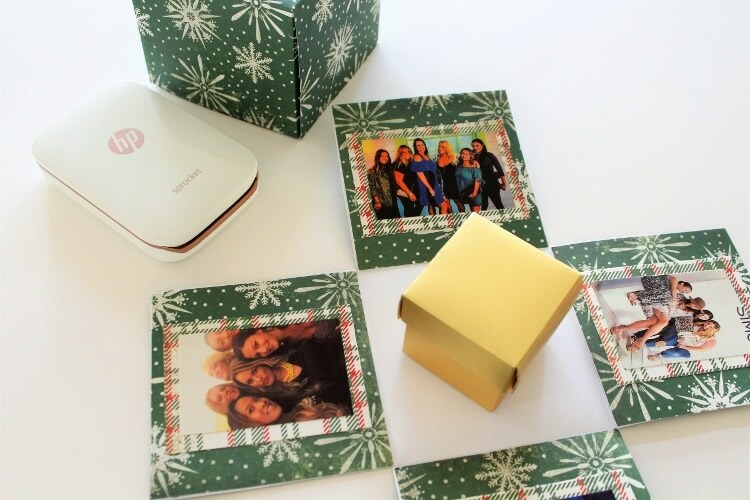 When the recipient opens the box, the flaps will pop out showing the gift in the center and the photos on the sides. It’s adorable and always a big hit! Play with different colors and patterns, depending on the occasion. You can also add other embellishments like words, flowers, and stickers to surround each photo. 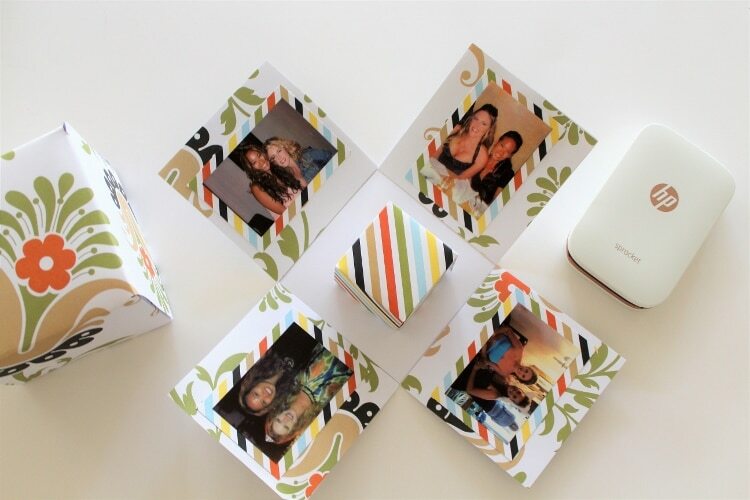 Use the four sides as mini scrapbook pages and get really crafty! Need more paper craft ideas? Try these!